Sony PlayStation 4 is official: focuses on social and streaming | What Hi-Fi? Sony has launched the PlayStation 4, the company's latest-generation home entertainment platform at a launch event in New York. 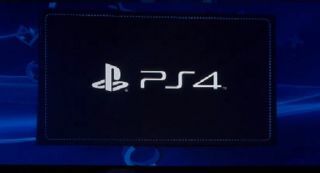 The PS4 release date was confirmed as Christmas 2013, though Sony didn't reveal the finished console, focusing on games, features of the new platform and a new controller, rather than any hardware or indeed pricing. In development for five years, the new PS4 will have an increasing focus on streaming and downloads rather than discs, promises increased social connectivity and aims to deliver "the fastest and most powerful gaming network in the world". Promising to be the hub for all Sony's music, movie and gaming services - we're assuming the Sony Home Entertainment Network for the music and film content - showing Sony knows the PS4 needs to be much more than just a games console. There was no sign of the PS4 hardware and official specs were thin on the ground, but Sony did confirm it would pack 8GB of memory, use a local storage HDD and feature an X86 CPU. The PS4 comes with a new DualShock 4 controller, sporting a touchscreen panel, a share button and a camera to track your movements. The new controller is seen as key to the new PlayStation experience. Sony launched a series of new games with the console, including DriveClub, Killzone and Knack. New features in the PlayStation 4 include the ability to easily share your gaming experience with friends. Pause a game, take a video clip and send it to a friend, just by pressing a button on the PS4's redesigned DualShock controller. You can even invite friends to take over your PS4 game remotely, using the latest cloud technology from Gaikai, a cloud technology company Sony acquired last year. PlayStation 3 games won't be compatible with the PS4 out of the box however, though Sony has said you will be able to access some games via download. Despite the obvious focus on the new PlayStation platform as a multimedia experience, Sony stressed that games remained core to the PS4 experience as they announced a roster of software makers on board, including Blizzard, the team behind World of Warcraft. The Sony PS4 is due out by 'Holiday 2013', that'll be Christmas to us here in the UK.